UPDATE: 4:31 p.m. EST: Simultaneous explosions unfolded in central Paris Friday evening during a France-Germany soccer match, according to the Associated Press. 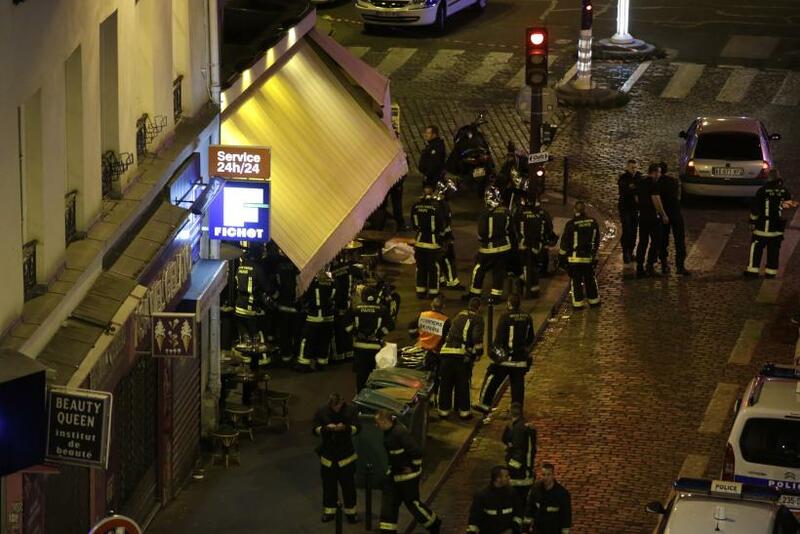 French military and police were on the scene, reported local media outlets. The city appeared to be under siege from multiple attacks. Hostages -- as many as 60, by some accounts -- were reportedly taken at Paris Bataclan concert hall, according to Agence France-Presse. Parts of the subway were shut down in response to the attacks. The number of victims was unclear, with reports estimating anywhere from 2 to 18 dead, BBC reported. A BBC journalist at the scene in #Paris says he can see 10 people on the road either dead or seriously injured. #BREAKING The French President has been evacuated after reports of gunfire and explosions in central Paris. Chaos gripped Paris Friday amid reports that multiple people were killed and seven others injured, CNN affiliate BFMTV reported. Explosions were also reported outside France's national stadium. President Francois Hollande was reportedly evacuated following the attacks. It is believed that he was in the national stadium, Stade de France.